These images may be used for editorial purposes in relation to the Classic Outback Trial. For more information or other imagery, contact Philip Bernadou. COT2016 logo, png format for web – 2034 x 1157 px. trans bkg. EPS format available on request. 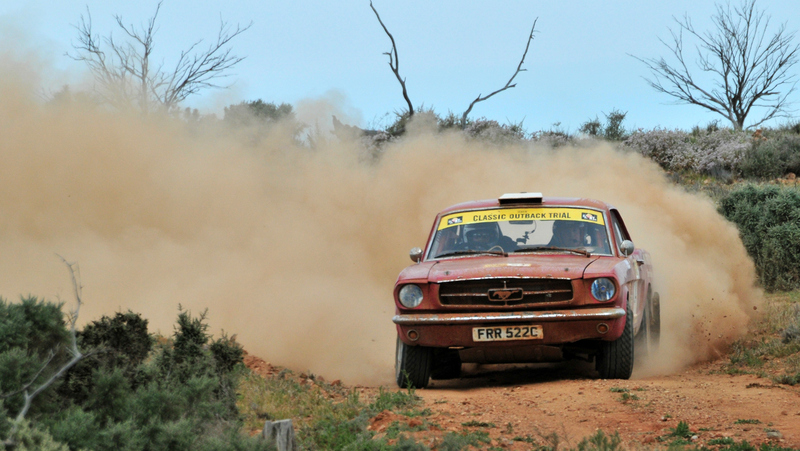 Warren Briggs from England and local co-driver Matt DeVaus, on day 4 of the 2104 Classic Outback Trial in their spectacular Ford Mustang. 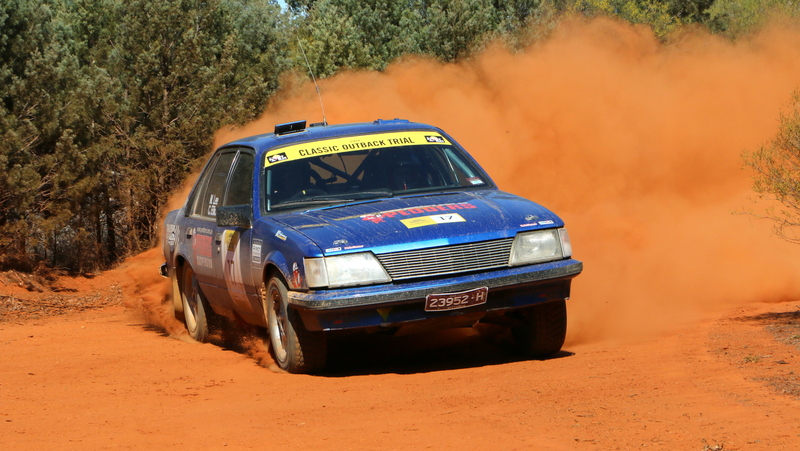 Andrew and David Travis, eventual winners of the 2014 Classic Outback Trial, near Broken Hill on day 4. 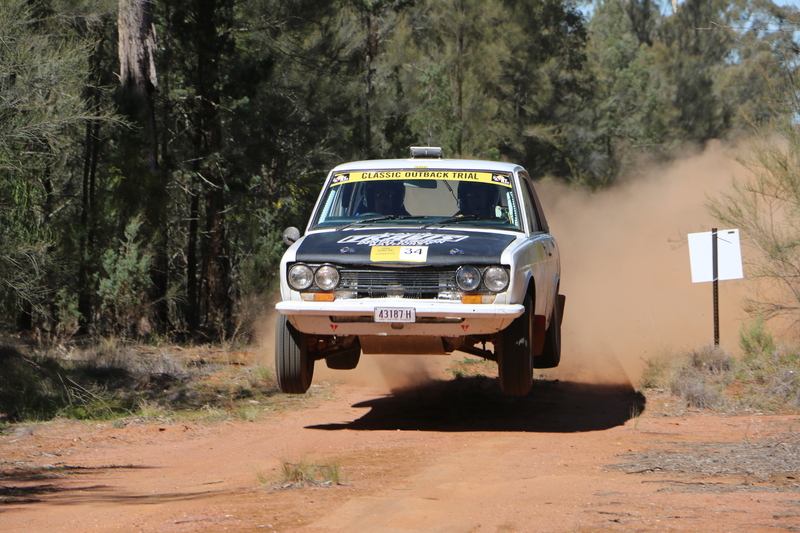 Andrew and David Travis, winners of the 2014 Classic Outback Trial. 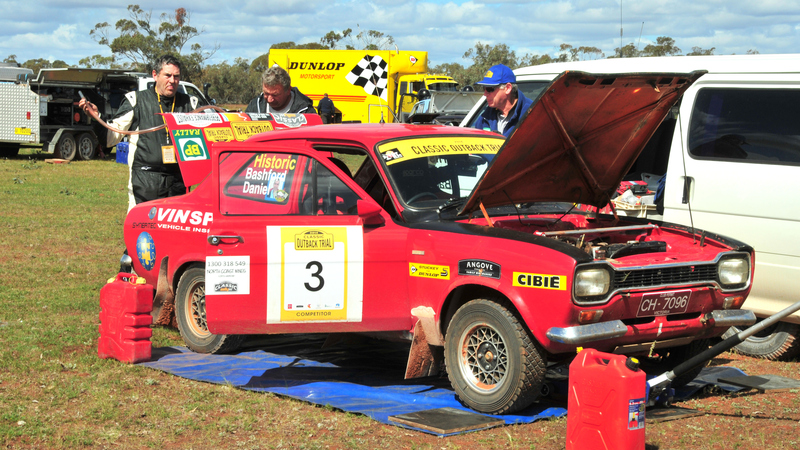 A service break on the 2014 Classic Outback Trial near Cobar, NSW. 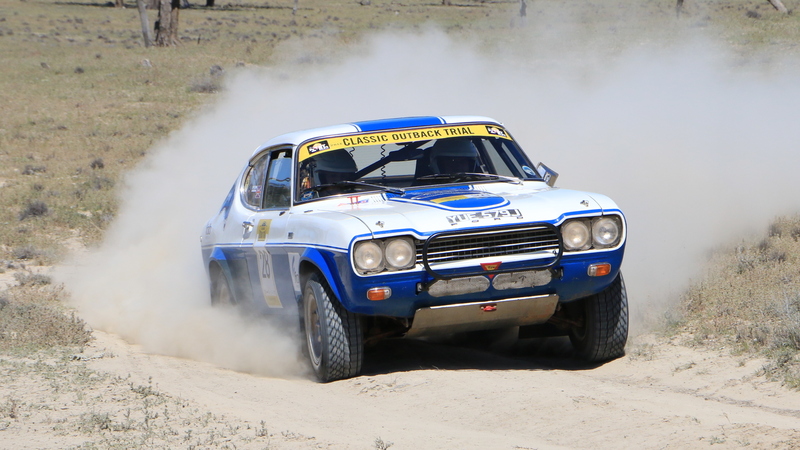 Former Australian Rally Champion, Ross Dunkerton, and co-driver Lindsay Collitts, on day 1 of the 2014 Classic Outback Trial near Forbes. 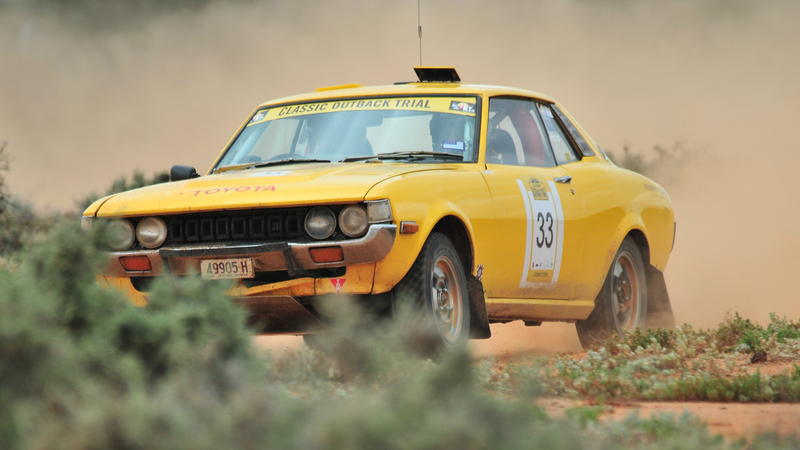 Peter Thompson and Ken Hind in their 1975 Toyota Celica, on day 5 near Silverton NSW. 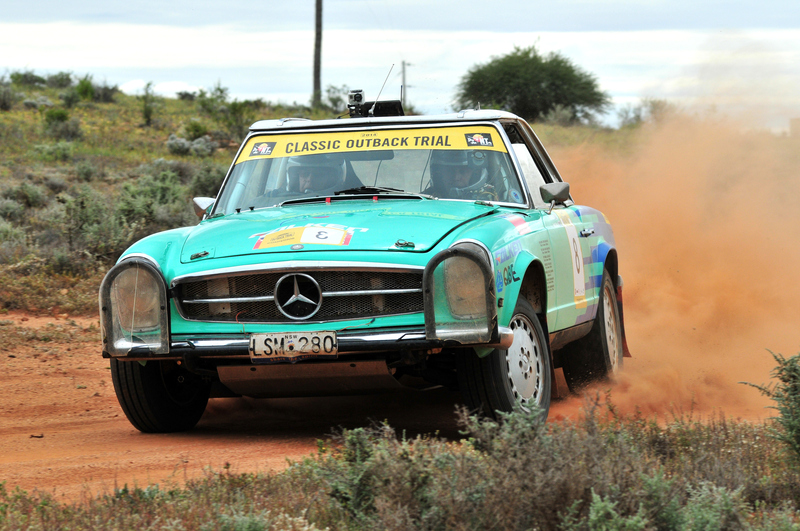 Father and Son team, Pat and Brad Cole in their Mercedes 280SL “Pagoda top”. 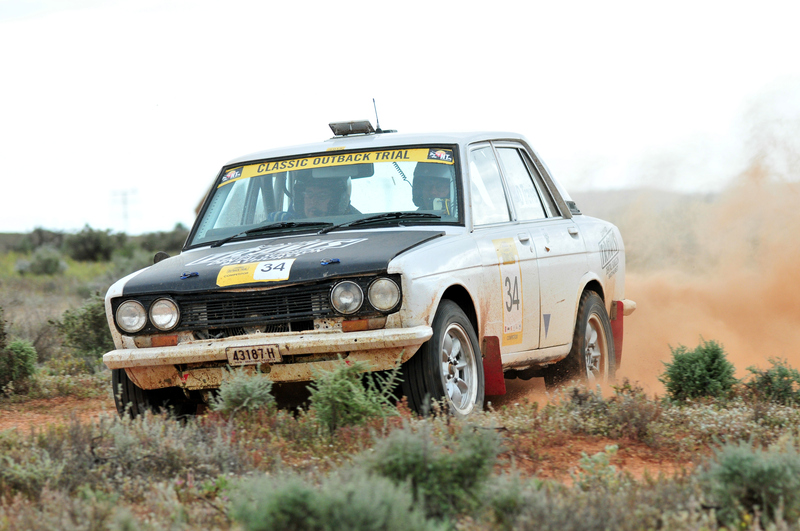 This shot on day 5 of the 2014 Classic Outback Trial near Broken Hill. 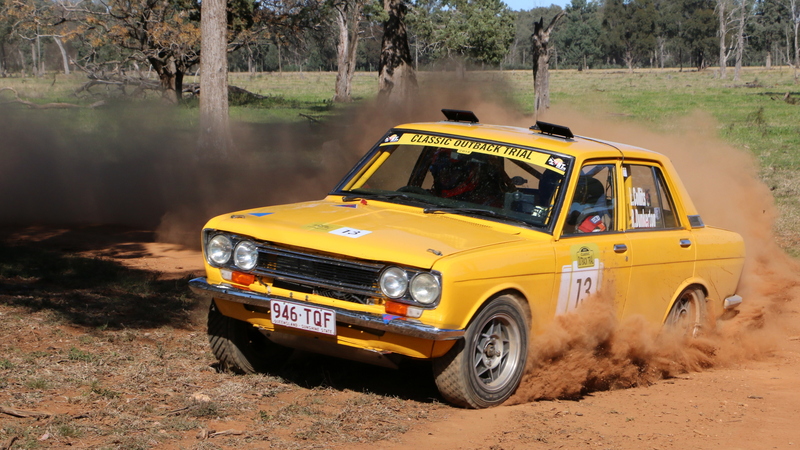 Matt Lee and Cathy Elliot, both from Melbourne, on day 1 of the 2014 Classic Outback Trial near Condobolin. 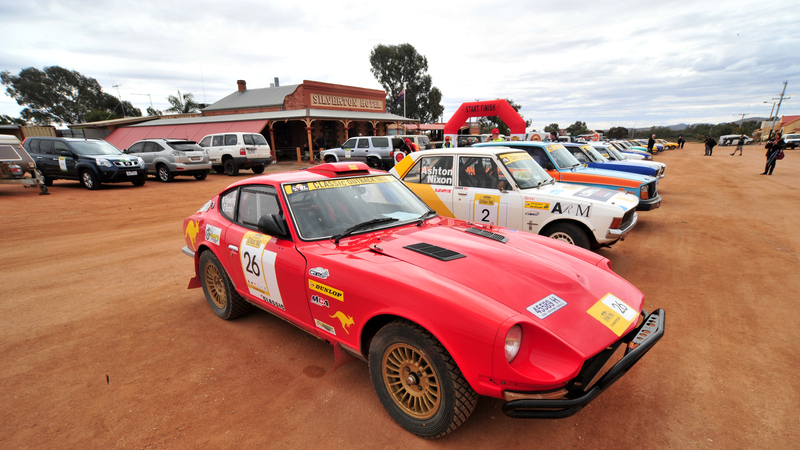 Day 5 of the 2014 Classic Outback Trial finished at the iconic Silverton Hotel in western NSW. David and Sarah Rayner bought their rare Cologne Capri from England to compete in COT 2014. This picture near Coombah in SW NSW. COT logo as an eps available on request.